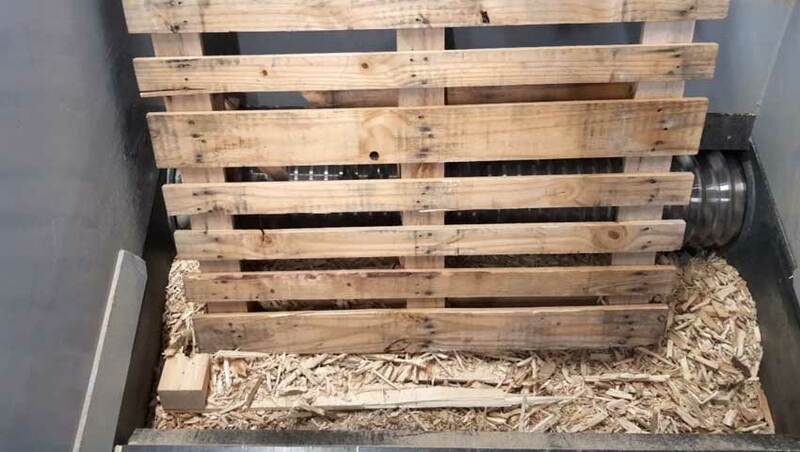 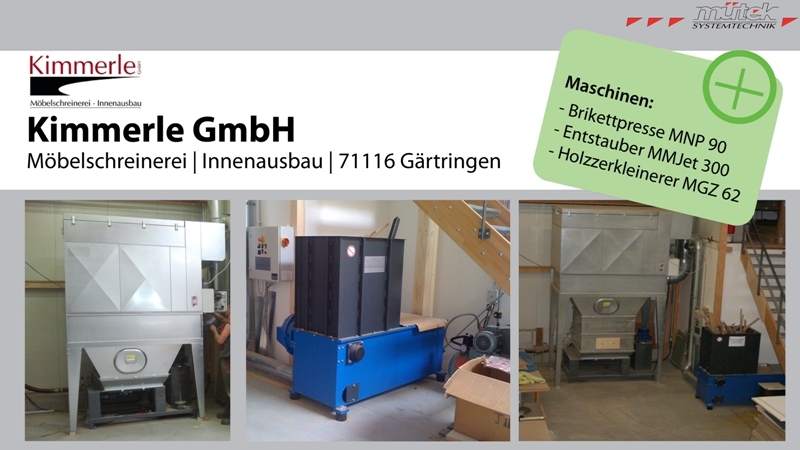 Shredding of waste wood and pallets for the production of high-density briquettes. 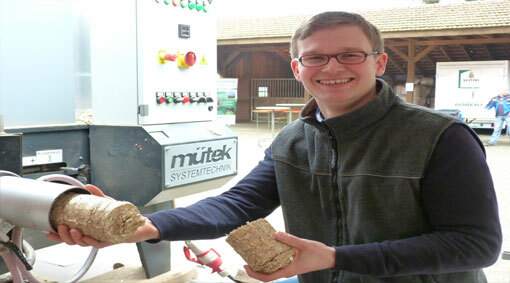 Wood briquettes from leftovers as an energy source for carpentry and sawmill. 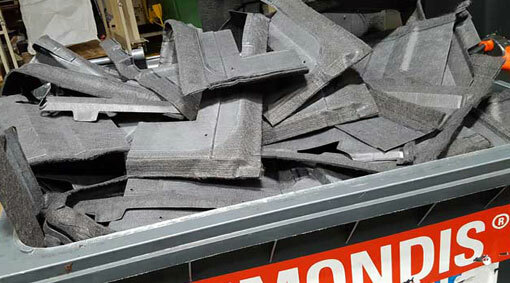 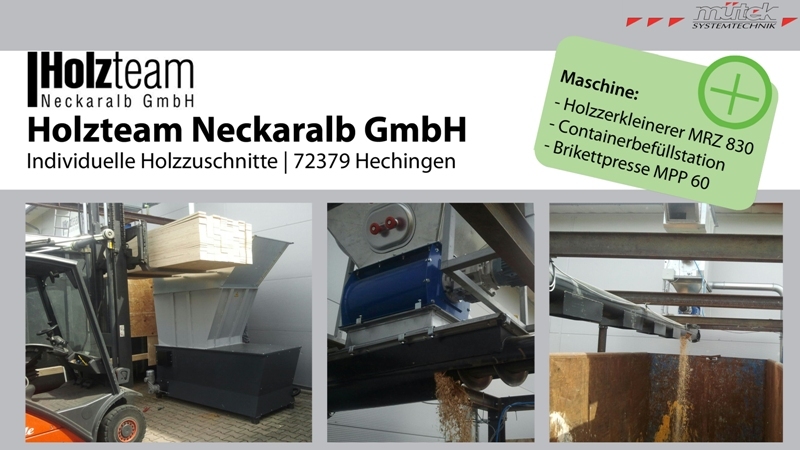 Shredding and briquetting of packaging materials for volume-reduced storage. 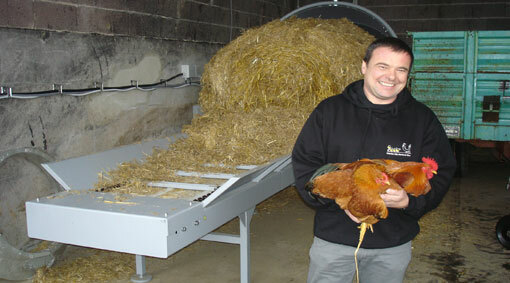 Chicken farmer Mr. Zeeb operates a straw heating system as an energy source for his chicken houses and building. 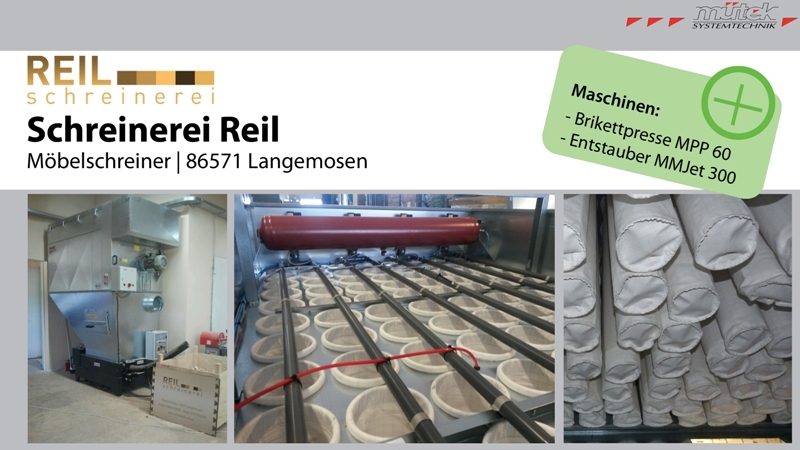 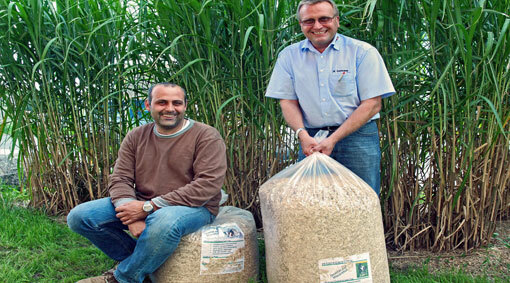 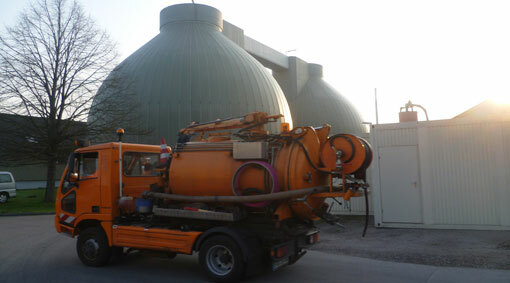 In Baden-Baden, highly compacted briquettes made from grass silage and wood chips are produced. 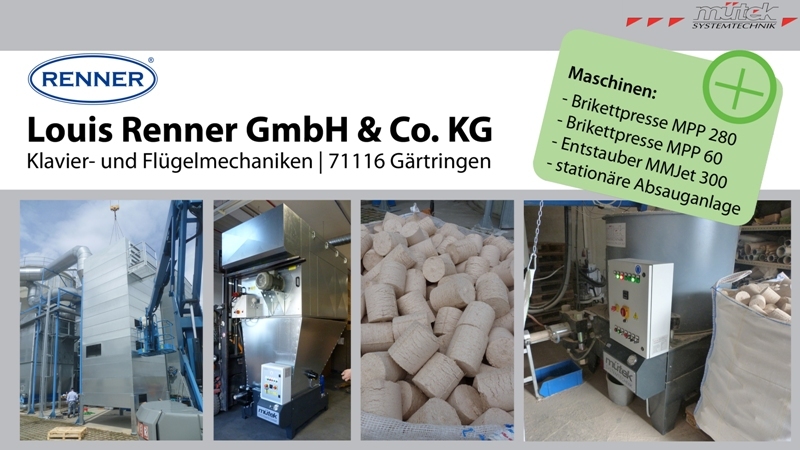 Production of compacted and dusted horse bedding with best absorption behavior. 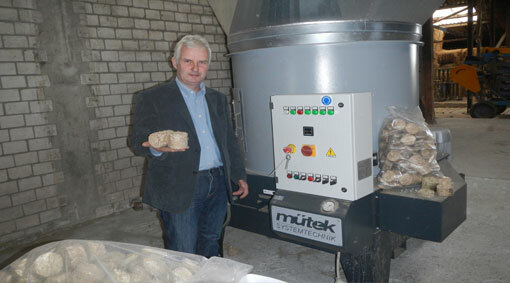 Miscanthus briquettes are ideal for thermal utilization in heating systems. 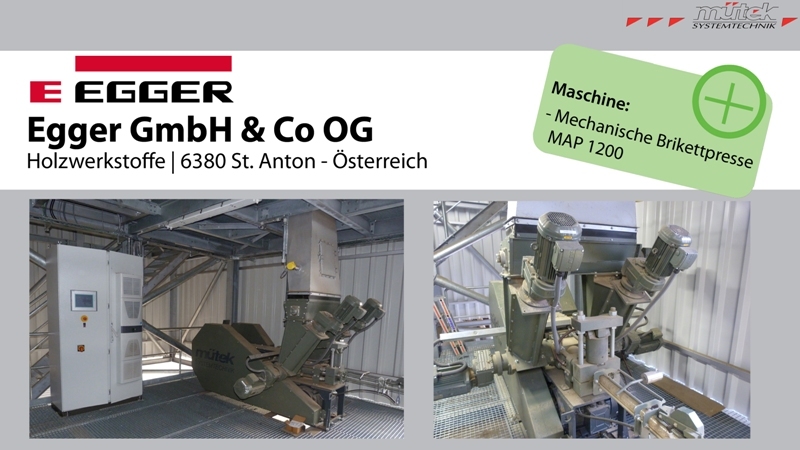 We also strive for meaningful synergy effects. 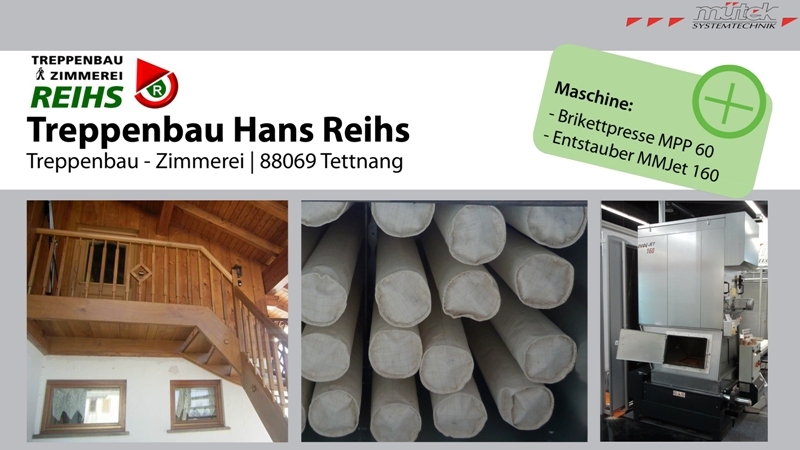 Collaborations such as the project "Schwabenglut" with the company Louis Renner (= piano maker) and the Karl-Schubert Community. 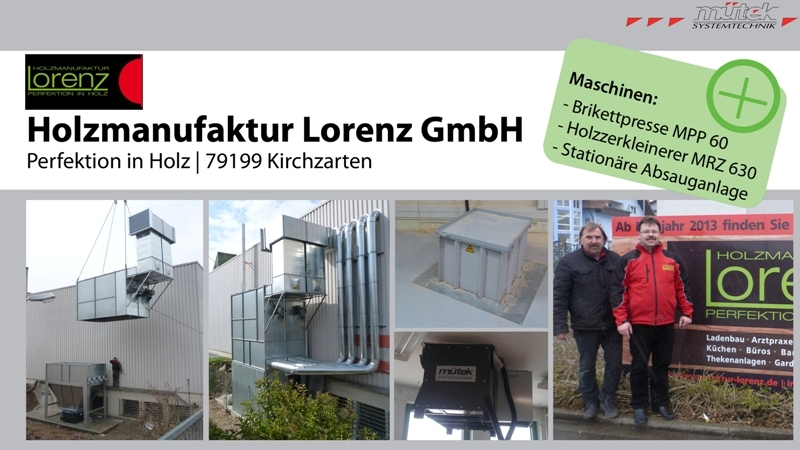 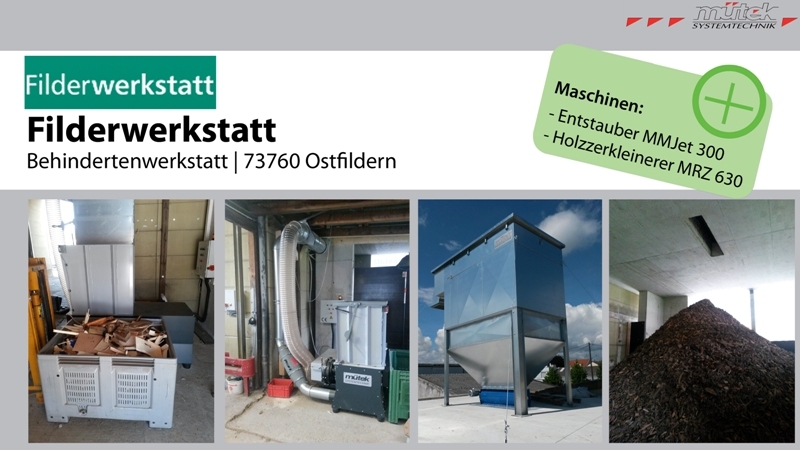 'muetek Systemtechnik' is an expert in plant construction. 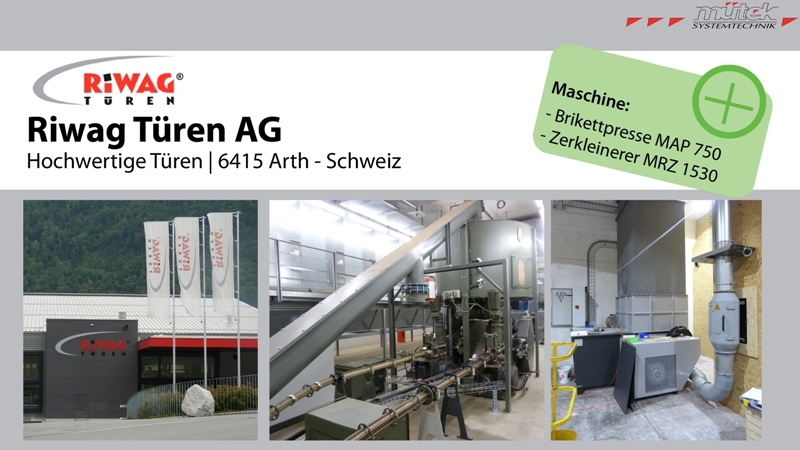 muetek plans, designs and supplies environmentally friendly shredding and briquetting machines, extraction and filtration systems, packaging systems, lift-and-tilt devices as well as customer-specific special machines focusing on saving energy. 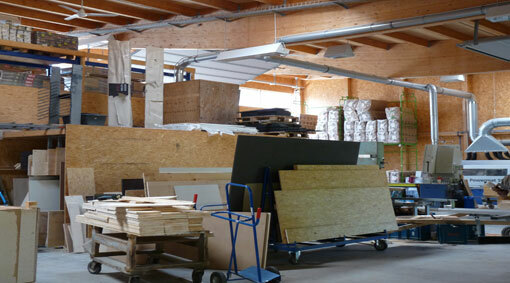 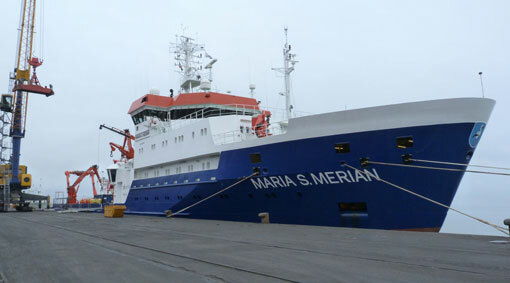 Already the planning decides on the profitability of a project. 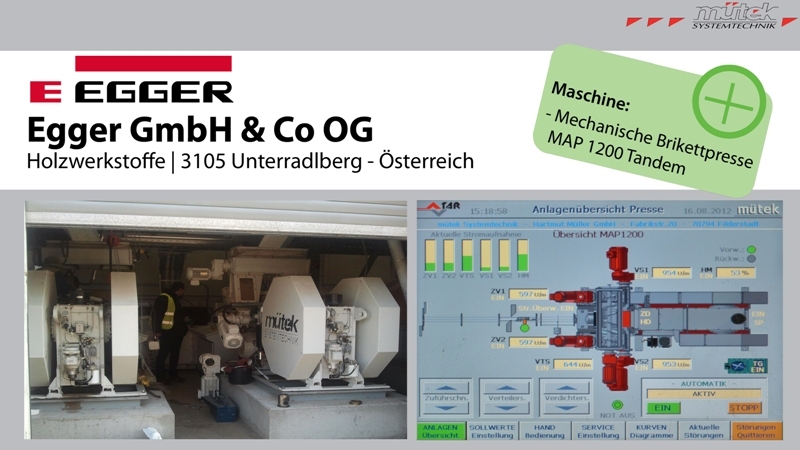 Therefore, muetek coordinates the system components with the necessary know-how and innovative machine technology. 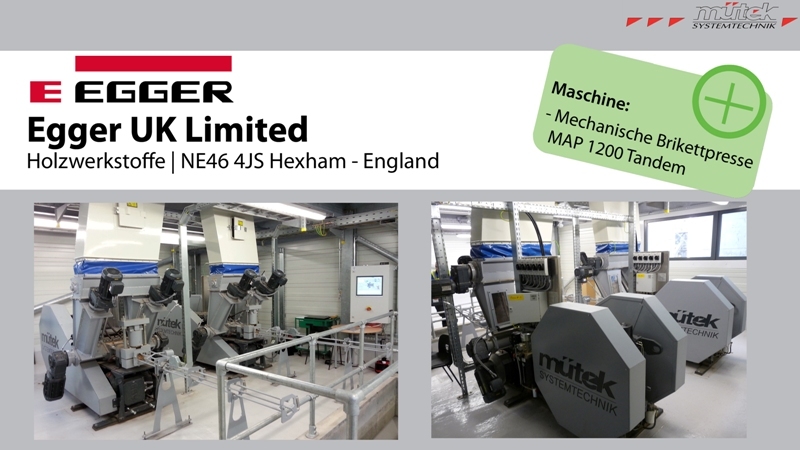 As a machine builder and interface manager, muetek ensures the functioning and economic operation of the entire plant and project. 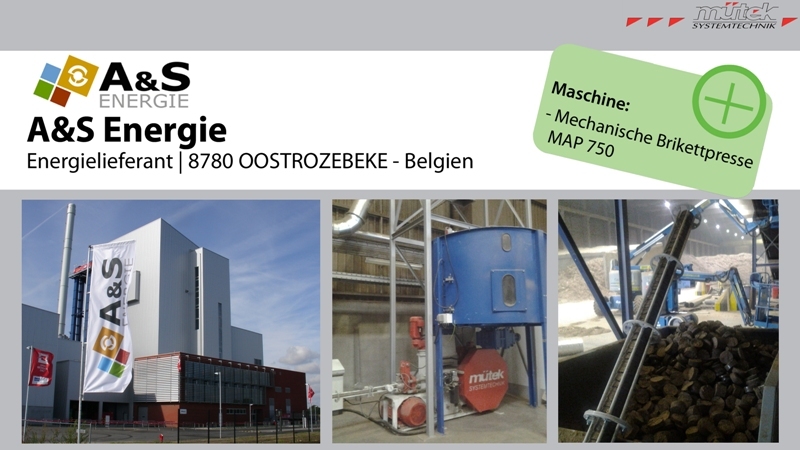 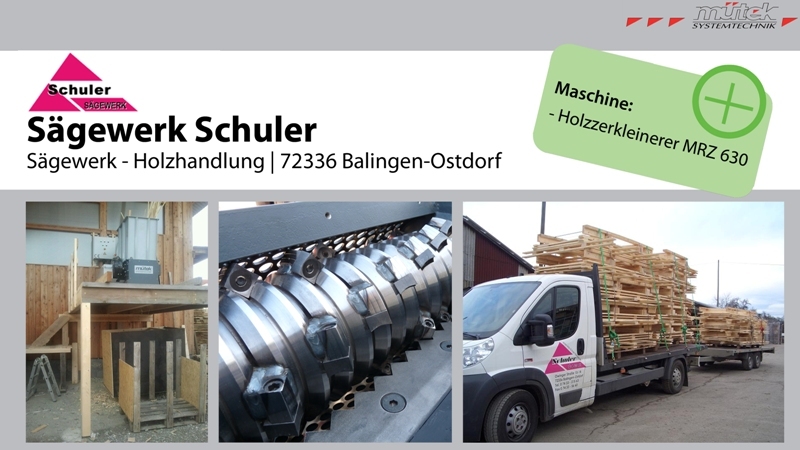 muetek is the specialist for providing complete solutions for energy production from wood, miscanthus and straw as well as for volume reduction of aluminum, copper, cables, plastics, polystyrene, peat, carpet residues, textiles and other materials. 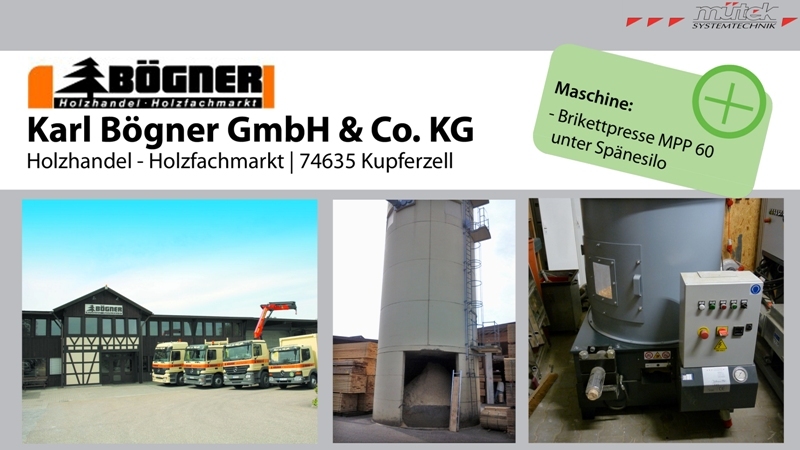 The great strength lies in the flexibility of a family business combined with the experience since 1993 and several realized projects worldwide. 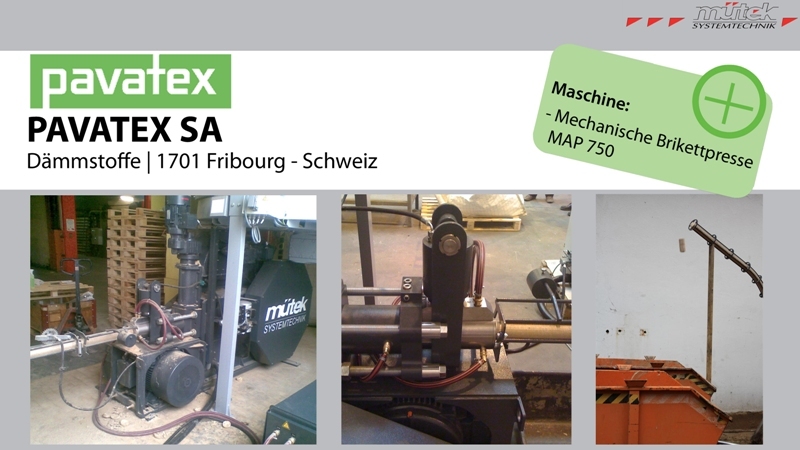 Now and in future, this successful concept will make muetek a flexible, strong and innovative partner for its customers.